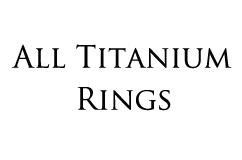 To start, tungsten carbide is an alloy, which means it contains at least two different metals or at least a metal and non-metal element. It is made primarily of tungsten, hence the name, but includes other binding elements to produce the world’s hardest material used in modern jewelry. However, much of its hardness is mainly due to the element tungsten and its unique properties. Tungsten the element, which is also known as Wolfram and number 74 on the periodic table, is a rare metal with high density. It is only found in nature as chemical compounds and it has the second highest melting point of all elements and the highest melting point of non-alloyed metals. Boasting a density 19.3 times that of water, tungsten has a weight similar to gold or uranium but with an inherent hardness. Its gold-like weight is ideal for the jewelry industry and for a man that enjoys wearing a ring he’ll notice. 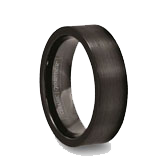 Tungsten carbide rings have noticeable weight to them unlike titanium rings, which can feel feather light. Tungsten Carbide is also stiffer than steel and much denser than either steel or titanium. 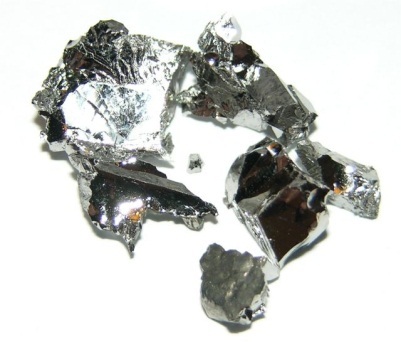 Tungsten as an element and an alloy has numerous uses. These uses span many fields from industry and military, to commercial and of course even jewelry with tungsten carbide rings, watches, pendants, and tungsten carbide bracelets. 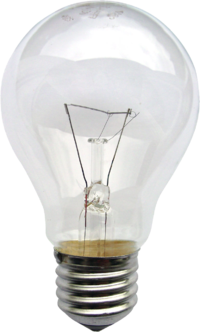 Tungsten might even be in your house, as the filaments in many household incandescent light bulbs are made from a small tungsten wire because of its ability to resist heat. 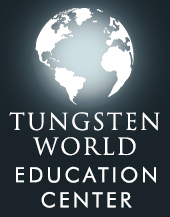 Tungsten is also the only metal in the third transition series that exists in biomolecules. In other words, tungsten can be found in some molecules that are used in cells of living organisms. However, though there are some organisms that use tungsten, it is not needed by humans. But not to worry, a tungsten carbide ring, even with a nickel binder, is considered hypo-allergenic. The very small amount of nickel is fused or sintered with the tungsten powder to form tungsten carbide. Being a very hard, scratch resistant material, tungsten carbide can be difficult to work with. There are only a handful of manufacturers and jewelers that can craft tungsten carbide. It requires extensive machinery and specialized tools, in addition to the use of diamond abrasives. These diamond abrasives are one of the few things harder than tungsten carbide and used to add a polished or brushed finishes to the rings. Naturally tungsten carbide is a mute, grey color, but after being high polished with diamond paste and other finishing processes, the rings have a luster and shine like a mirror. 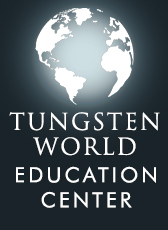 On the lighter side, the word “tungsten” has a bit of its own history. While originating from a Swedish word meaning “heavy stone,” the terms tungsten and tungsten carbide are misused today! People in the industrial field commonly use the word “carbide” without noting the specific type “tungsten carbide” and ordinary consumers use “tungsten” instead of tungsten carbide. Both are incorrect since there are many types of carbides, some of which do not contain any tungsten at all. And for consumers to call a tungsten carbide ring just “tungsten” is incorrect as tungsten is just one element used to make tungsten carbide. Regardless of what you call it, tungsten carbide does have some other novel uses. Tungsten carbide is used in the tips or ‘balls’ in ballpoint pens and in surgical instruments due to its wear resistance and precision grinding ability. Tungsten carbide is also used in many industries as extruding and drawing tools and masonry drill bits. You can even find tungsten in some nuclear applications, as tungsten carbide is an effective neutron reflector, which is used in reactors to control nuclear reactions, and thus the amount of heat produced and power generated. 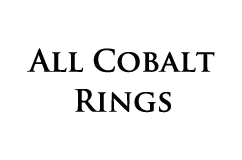 Tungsten carbide is used in weights and counter weights. It is used instead of lead for bullets and shot and also as the weights for fishing. 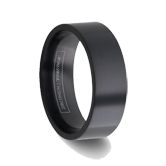 As you can see, tungsten carbide is very important for many everyday uses in addition to fashionable, durable jewelry. Tungsten carbide made its way into the wedding industry fairly recently. Interestingly enough, tungsten carbide was first used as a jewelry accessory with Rado in the 1960’s. In fact, Rado was the first company in the world to make a “scratchproof” watch using tungsten carbide in 1962. Other companies like Movado would soon follow their success and incorporate tungsten carbide as a metal for watches and accessories. Despite their infancy in the jewelry world, tungsten carbide rings are becoming more popular and common. 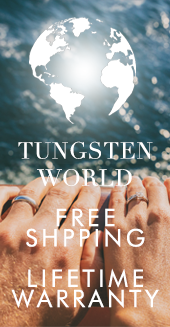 Jewelry industry experts think that nearly 1 out of every 4 grooms-to-be will choose a tungsten carbide ring. As tungsten carbide rings gain in popularity, there are many unique styles and designs being made to choose from. Coupling these numerous styles with customizations such as laser engraving, stone setting, polishing, brushed finishes, and custom sizes and widths, the possibilities of finding a perfect tungsten carbide ring for him or her are near endless. 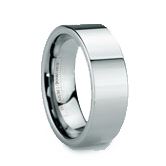 As you can see, tungsten carbide is a perfect choice for a wedding band or wedding ring. They combine science and technology with Mother Nature to create stunning and durable jewelry pieces. There is no material harder in the jewelry industry and no ring more scratch resistant than tungsten carbide for a wedding ring. It is the perfect union of age old traditions and modern science, and it will continue to be a perfect token of love in your union.